cold sensitivity in fingers and toes; constipation; diarrhea; dizziness; drowsiness; dry mouth; fatigue; headache; indigestion; lightheadedness; loss of appetite; nausea; stomach cramps; stuffy nose; vomiting. severe allergic reactions (rash; hives; itching; difficulty breathing; tightness in the chest; swelling of the mouth, face, lips, or tongue); abnormal involuntary movements; bloody or black, tarry stools; chest pain; depression; fainting; hallucinations; one-sided weakness; persistent, watery nasal discharge; progressive, severe headache; shortness of breath; ringing in the ears; seizures; slurred speech or trouble speaking; stomach pain; sudden confusion; sudden daytime sleepiness; sudden loss of coordination; vision changes; vomiting blood or a substance like coffee grounds. 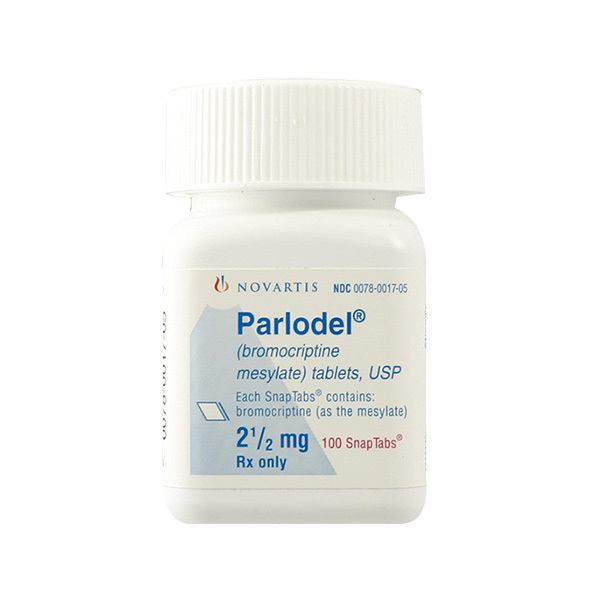 Parlodel is to be used only by the patient for whom it is prescribed. Do not share it with other people.